Situated in Sevid, this air-cooled vacation home presents an outdoors terrace with sea views. 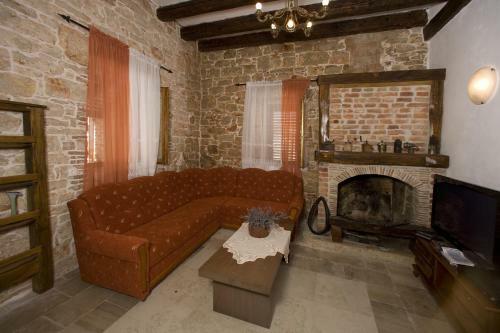 The property is 34 km from Split and features views of the pool. Gratis wireless internet is available throughout the property and free car parking is available on site. Hvar is 49 km from Villa Ana, while Trogir is 19 kilometers away. The closest flight terminal is Split Airport, 23 km from Villa Ana. Villa Gajeta ~0,3 km, Sevid price per day from € 200 Vacation home Gajeta is a villa with a swimming pool, set in Sevid in the Split-Dalmatia County Region. Towels and bed linen are available at Villa Gajeta. Other amenities at Villa Gajeta include a grill. Free use of mountain bikes and automobile rent are available at the property and the area is famous for biking. 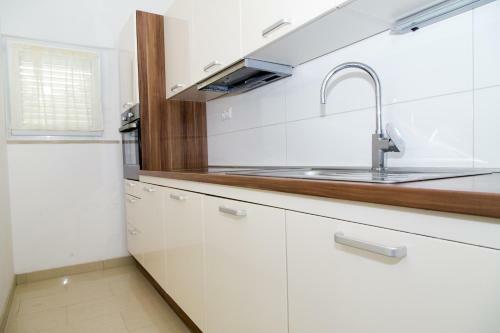 Split is 34 km from Villa Gajeta, while Hvar is 49 kilometers away. Villa Ana ~0.1 km, Sevid Situated in Sevid, this air-cooled vacation home presents an outdoors terrace with sea views. 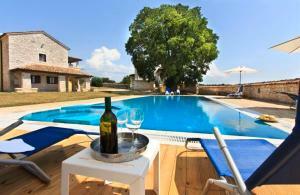 The property is 34 km from Split and features views of the pool. Gratis wireless internet is available throughout the property and free car parking is available on site. Hvar is 49 km from Villa Ana, while Trogir is 19 kilometers away. The closest flight terminal is Split Airport, 23 km from Villa Ana. Marina ( ~ 7.4 km ): 166+ apartments, 5+ villas. Vinisce ( ~ 7.5 km ): 240+ apartments. Poljica ( ~ 9.5 km ): 76+ accommodation units. Vrsine ( ~ 11 km ): 8+ villas/holiday houses. Seget Vranjica ( ~ 13.4 km ): 255+ apartments. Okrug Gornji ( ~ 16.2 km ): 785+ apartments. 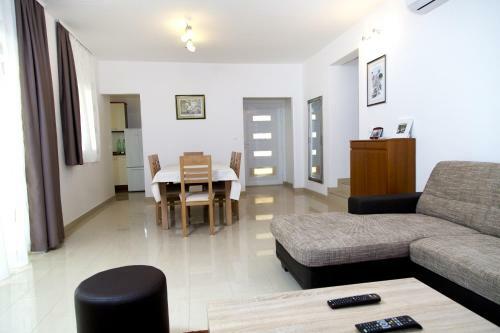 Beach Ostricka Luka ~ 1,3 km from Villa Ana Concrete beach: ideal for families. Beach Kanica ~ 1,8 km from Villa Ana Concrete beach: ideal for families, with caffe bar. Beach Kalebova Luka ~ 3,9 km from Villa Ana Concrete beach: ideal for families. Beach Stivasnica ~ 4 km from Villa Ana Concrete beach: ideal for families. Beach Ljoljinica-Metaroza ~ 4 km from Villa Ana Gravel beach: ideal for families.